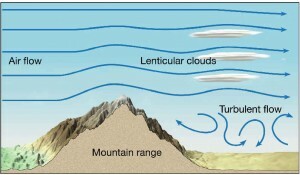 How are Lenticular Clouds formed? 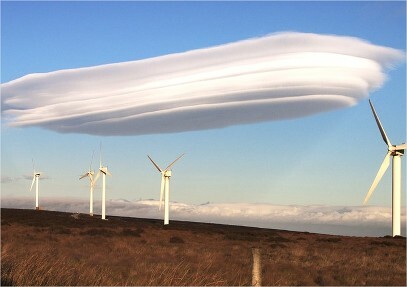 Thank you to Mr Caine for pointing out these beautiful Lenticular Cloud pictures on the BBC website here. They are often mistaken for UFO’s and can be found at low , mid or high levels. How are they formed? They are formed when moist air flows over raised ground, such as a hill or mountain peak. When the air consists of alternating moister and drier layers of air, it can lead to lenticular clouds They are also known as pile d’assiettes (French for ‘a stack of plates’). As a member of the Cloud Appreciation Society I’m always very interested in anything cloud based. I’m not into Blue Sky Thinking at all.. 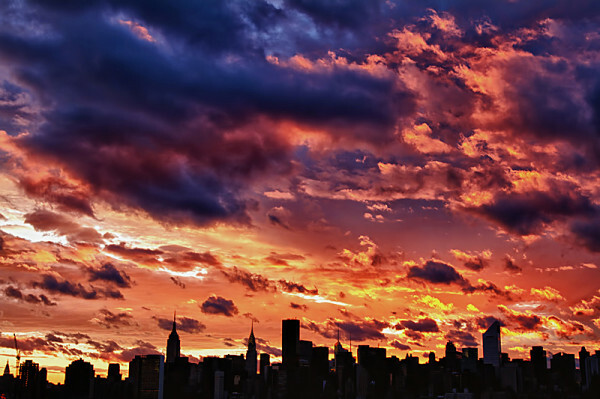 This sunset photo following Hurricane Irene in New York City is beautiful. Taken by Inga Sarda-Sorensen which I found through my Twitter Feed, it underlines the amazing combination of modern communication technology to embrace some truly incredible natural scenes. I’ve been thinking about the fact that we we sent people to the moon 40 years ago with technology that had less processing power than the average modern calculator. Why has space travel stagnated? Possibly because we’ve got enough problems and money that needs to be spent on sorting out the issues on Planet Earth. The image of Earth rise is apparently the most famous picture in history although I prefer the image that the Voyager 1 Spacecraft took called Pale Blue Dot to give an idea of how small we are in the universe. I’ve alos found this page which has a great compilation of Images of Earth from Planetary Spacecraft from the Planetary Society. The website We Choose the Moon is a brilliant website celebrating the 40th Anniversary of the Apollo 11 Lunar Landing. The Big Picture from the Boston Globe never ceases to amaze and motivate me. The aerial photography by Jason Hawkes is simply incredible,. I love the one of the Flooded fields in Cheshire and the solar array in Nevada.